If the first thing that comes to your mind when you hear the word “vacation” is coast, you need to branch out! 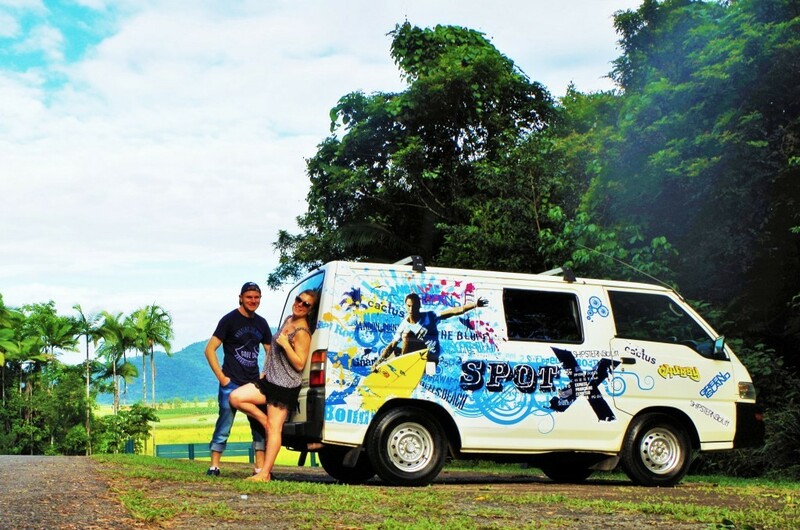 Campervan vacationing is an excellent alternative here – it can be a very exciting, educational and fun experience. However, going from the habit of enjoying relaxing beach or resort vacations to all the challenges of outdoor tourism is quite a leap forward, so you should definitely get familiarized with a couple of essential tips before making the decision. We’re going to use Australia as our campervan adventure destination due to its vastness, variety and beauty. Unlike the traditional vacation types, your campervan is literally going to be your home for the duration of your excursion, so picking the perfect one is of the absolute essence. Start researching, get familiarized with various vehicle models and their amenities and add-ons. For instance, a mini fridge, running water and a gas stove are absolutely necessary. On the other hand, depending on the size of your family, you might need a rooftop sleeper. As a rule of thumb, the bigger the van, the more gas it will guzzle, especially on camping trips, so carefully consider how much space you need – camping trips weren’t made for luxury; on the contrary, you’re supposed to reimagine your life in the humble confines of nature. The very point of your campervan trip is being mobile, and it would be a shame (and very boring) if you were to stay in a single spot during the entirety of your vacation. Driving a campervan across Australia is a unique experience; there’s a reason why every year, thousands of STA travelers explore the Aussie land using vans as their homes. Here’s a list of neat locations to get lost in if you decide to take your camping vacation to this gorgeous continent. Grampians National Park, Victoria – If breathtaking views of towering summits, mighty waterfalls and vast forests are your thing (of course they are), there is no place like the Grampians National Park. Some three hours’ worth of driving north of Melbourne, this national park offers you a chance to park your van and take a walk around, soaking in all the gorgeous sights that surround you. Coober Pedy, South Australia – If you and your family are history enthusiasts, then you’ll love visiting this 80-million-years-old view. This historic opal-mining center offers awesome desert landscapes, but its main feature is quite a strange one. This town is mostly situated underground! Cape Le Grand National Park, Western Australia – What good would an Australian camping vacation be if you weren’t able to catch some sun on this continent’s gorgeous sandy beaches. If you happen to find yourself anywhere near Esperance, take a 45-minute drive to the Cape Le Grand. Set up camp at the Lucky Bay to go snorkeling and swimming, and perhaps even see a kangaroo or two! The preparations are just as important for a camping trip as for any other type of trip. Your itinerary is most likely to include wildlands and, especially in Australia, this means potentially hundreds of miles without a living soul around. Every good preparation process starts with making a list long before setting off. Imagine your journey – think about everything from the bare necessities such as food, water, money, medicine, warm/light clothing, maps, flashlights and devices, to cards and board games for when the weather turns treacherous. Even a DVD player might not be such a bad idea! If you’re planning on visiting national parks and other vehicle-inaccessible sites (which Australia is full of), think about bringing along bicycles, especially if you have enough space to store them! Here’s a pro tip: the pros at Shimano offer high-quality spare parts and maintenance equipment that might turn out essential for your biking excursions. The campervan experience offers a unique opportunity for cooking while on the road. On the other hand, the fact that you’re frequently moving around means that you should definitely not miss out on some of the local delicacies. The trick is walking the fine line between the two. Oh, and steer clear of high-sugar snack foods, take advantage of the local markets and make sure that each family member plays their part in meal preparation. An Aussie campervan adventure offers a myriad of interesting opportunities, and without proper research and preparation, you might miss out on a whole lot! Although selecting the perfect van is the most important factor, there is a lot more ground to be covered – from packing and destination picking, to eating and having fun inside the campervan. Prepare yourself properly and you’re in for an unforgettable experience!